Water operators in Utah who are attempting to acquire the required amount of continuing education units (CEUs) to renew their license have found the right place. AYPO Tech is approved by the Utah Department of Envirnomental Quality Division of Drinking Water with courses for water operators that are educational while also being filled with critical information that is useful on a daily basis. What are the CE requirements for certified Utah water operators? Our courses are approved by the Utah Division of Drinking Water and will meet your mandatory training needs. This 30 Hour CE Package is built for water operators with Grades 3 or 4. This package includes: Surface Water Treatment (3 hours), Source Water Issues and Pretreatment (2.5 hours), Disinfection (2.5 hours), Membrane Processes (2 hours), Water Distribution System Operation Overview (4.5 hours), Pipelines (3 hours), Meters, Valves and Hydrants Lesson (3 hours), Pumps and Motors (2.5 hours), Storage Tank Facilities (2 hours), Groundwater Wells (2.5 hours), and Distribution System Water Quality Issues (2.5 hours). A package of 21 CE Hours Includes: Surface Water (3 hours), Source Water (2.5 hours), Coagulation (3 hours), Sedimentation (3 hours), Disinfection (2.5 hours), Corrosion (3 hours), Oxidation (2 hours), and Membrane Processes (2 hours). This course will fulfill 4.5 of your required hours for Utah water operators. This course will provide an overview of water distribution system operation. You will learn the basics of the entire water distribution system as we cover topics such as pipeline operations, pumps and motors, meters, valves and hydrants, SCADA systems, and much more. In our Pipelines course, students will discover the many important factors of operating, installing or maintaining a water distribution pipeline system. Discover how meters, valves and hydrants play vital roles in the delivery of safe drinking water to the public. This course will provide an overview of surface water treatment plant operations. You will learn about surface water treatment regulations, and the basics of treatment processes, coagulation and flocculation, filtration, disinfection, corrosion control, and much more. In our Corrosion Control course you will learn about the effects of corrosion on a water distribution system, the effects of contamination due to corrosion, and corrosion mitigation techniques. Our Sedimentation and Filtration course focuses on the role that particle removal plays in the surface water treatment process and how necessary it is in producing safe drinking water that meets EPA standards. Coagulation refers to the process of using chemicals that collect contaminants in water, creating larger particles that are easier to remove. Flocculation is the process of mixing these chemicals in the water to ensure higher rate of contact between coagulants and contaminates. In this course, we'll delve into the details of this fascinating water treatment process. This course will fulfill 2.5 of your required hours for Utah water operators. Whether your water comes from a lake, stream or groundwater basin, understanding your source is the first step in providing safe drinking water. This course outlines the various source water types and the important role they play. Our Groundwater Wells course is designed to introduce and cover the basic components and operation of groundwater wells along with the fundamentals of maintaining safe drinking water from this types of water source. Pumps and Motors is a course that details the types, components of and the proper maintenance steps for water pumps and the motors that drive them. Our Disinfection course focuses on the critical role that pathogen destruction and inactivation plays in the surface water treatment process and how necessary it is in producing safe drinking water that meets EPA standards. AYPO's Distribution System Water Quality Issues course will introduce to water operators the many issues that must be present in order to achieve and maintain a safe and high-quality water supply in a distribution system. 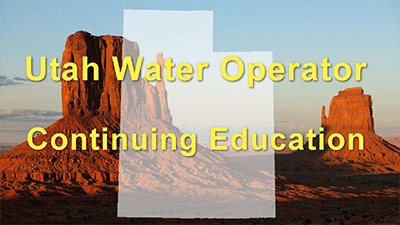 This course will fulfill 2 of your required hours for Utah water operators. Our Advanced Oxidation and UV Disinfection course will introduce water treatment and distribution operators to the operation, uses, and types of advanced oxidation and UV processes including ozonation and ultraviolet treatment. A membrane is a sheet of natural or synthetic material that is partially permeable to substances in solution. Membranes are used in various methods of water treatment. Students who take our Membrane Processes course will learn the uses and types of membrane processes including reverse osmosis, nanofiltration, and electrodialysis reversal. This course is intended to provide water operators with information on basic electrical concepts they will need in their career. AYPO's Storage Tank Facilities course focuses on the types of storage facilities, functions of and maintenance of the tanks that store water for efficient delivery to the public. I will approve the courses submitted for the requested CEU credits. If you have any questions let me know. Please find attached the course application materials for several courses that we are seeking approval for. 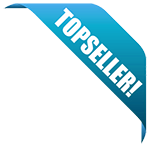 courses previously and look forward to expanding our course offerings approved by your department.